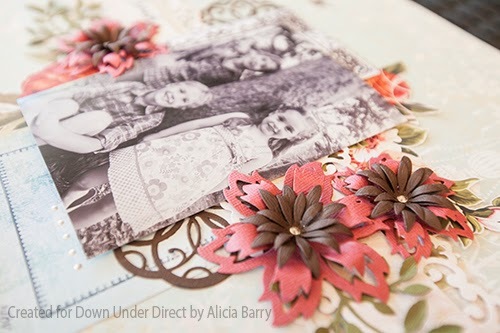 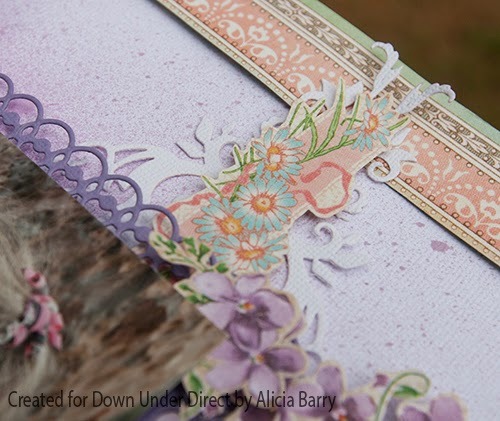 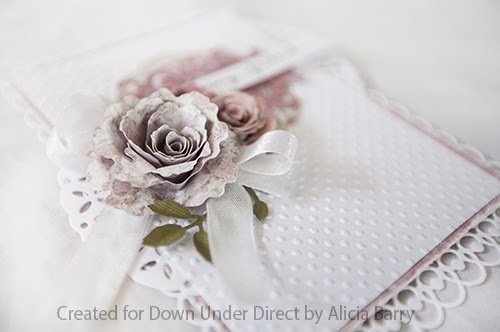 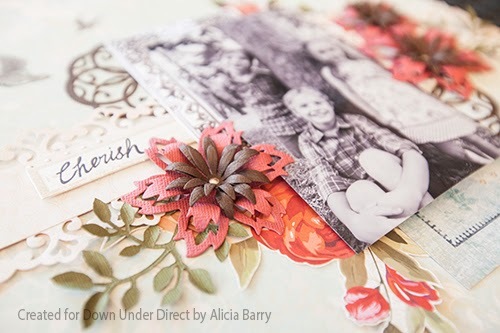 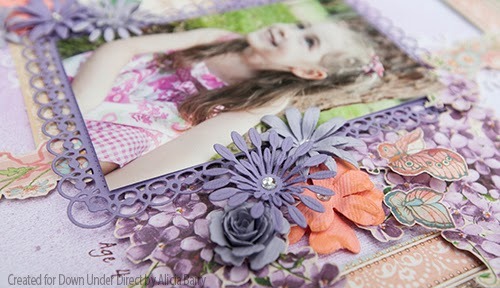 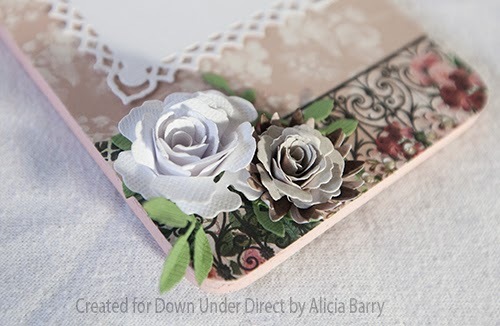 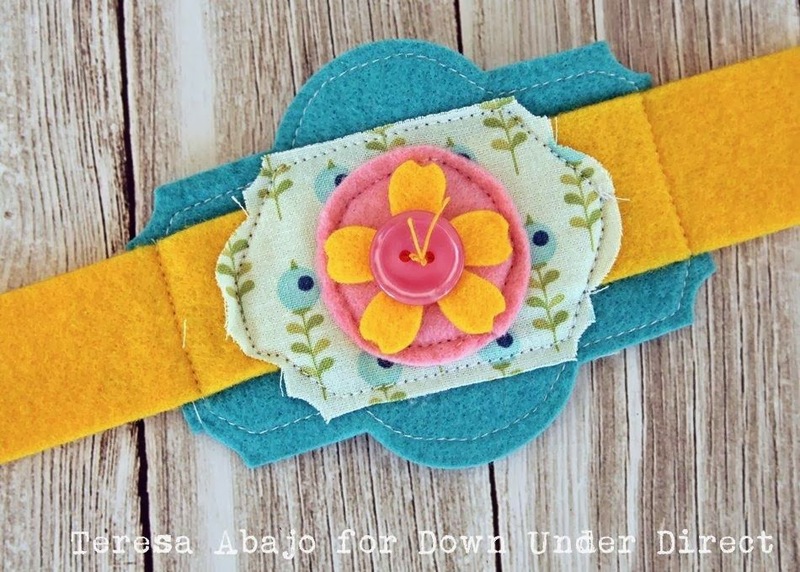 Today we have a lovely layout from Alicia to share. 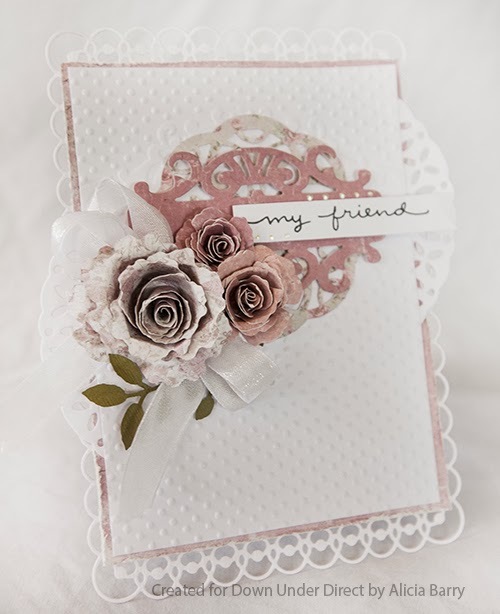 Here is a pretty friendship card from Alicia. 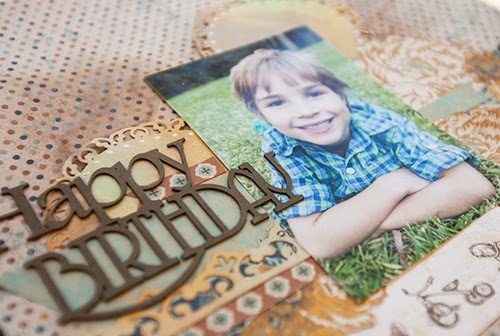 On this layout, I wanted to highlight the main subjects of this photo without losing any of the interesting background. 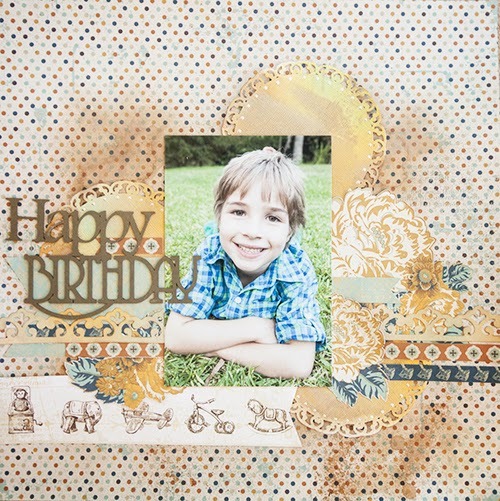 I cut out the main area, mounted it onto a slightly larger shape, and mounted it in place on the photo. 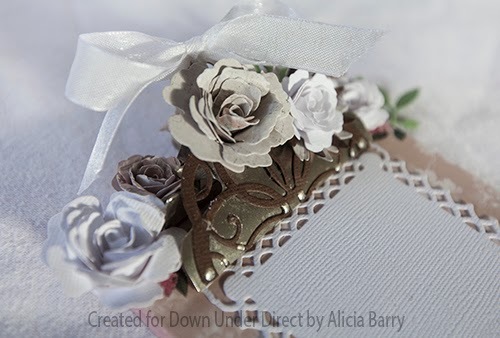 This is a mini altered clipboard. 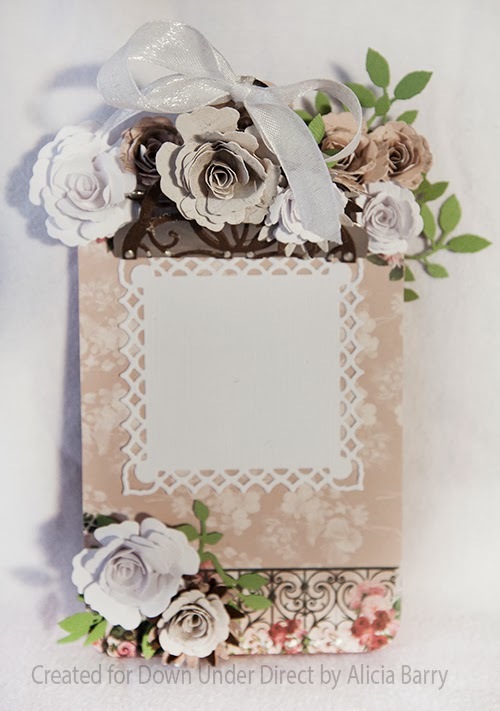 I used to the decorative square as a base for a stack of post-it notes. 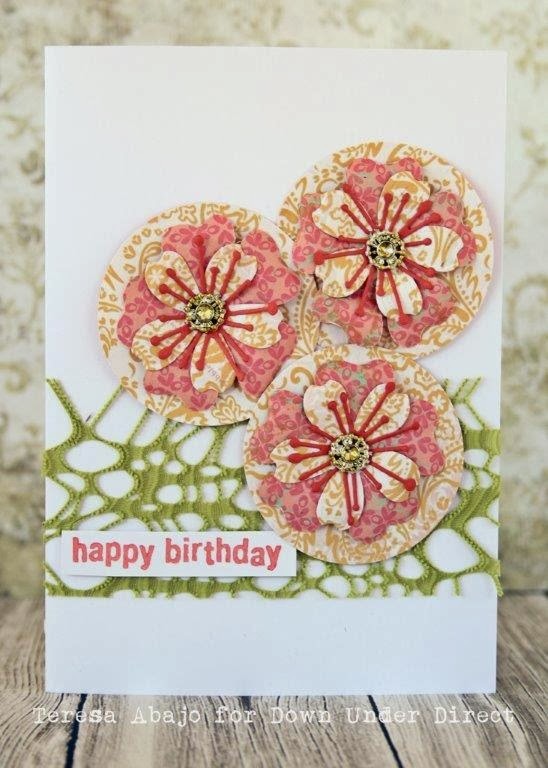 Apart from the draping vines and hello tag, all of the pieces for this card where cut from white cardstock and coloured with inks. 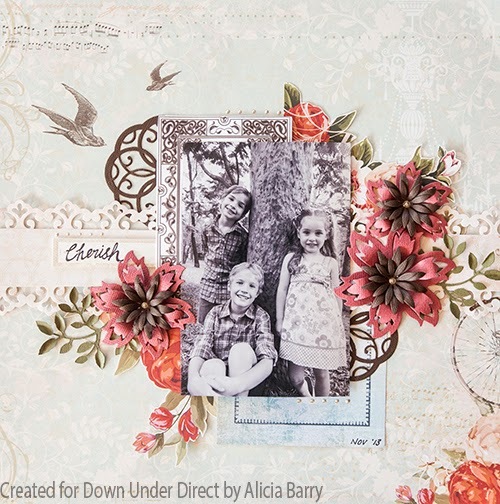 Today we have a lovely layout from Alicia. 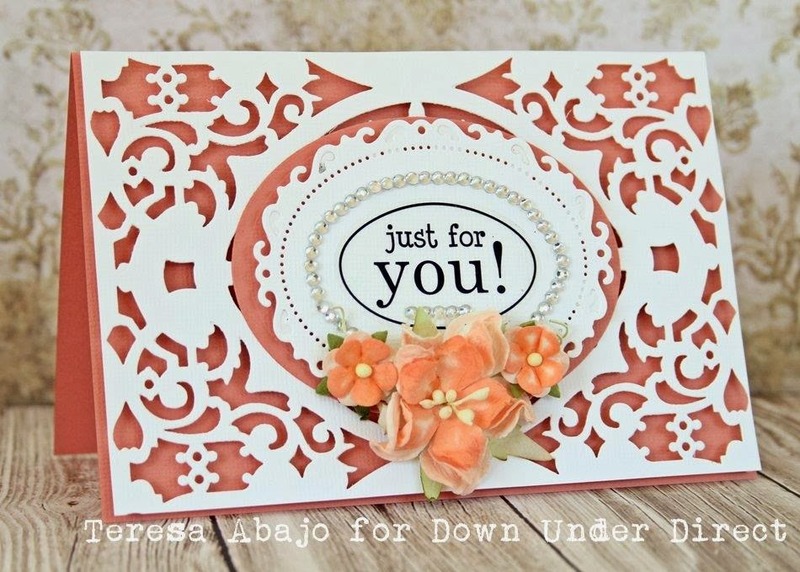 I popped the Tapestry die cut up with foam mounting squares to create lots of depth and shadow in the background of this card. 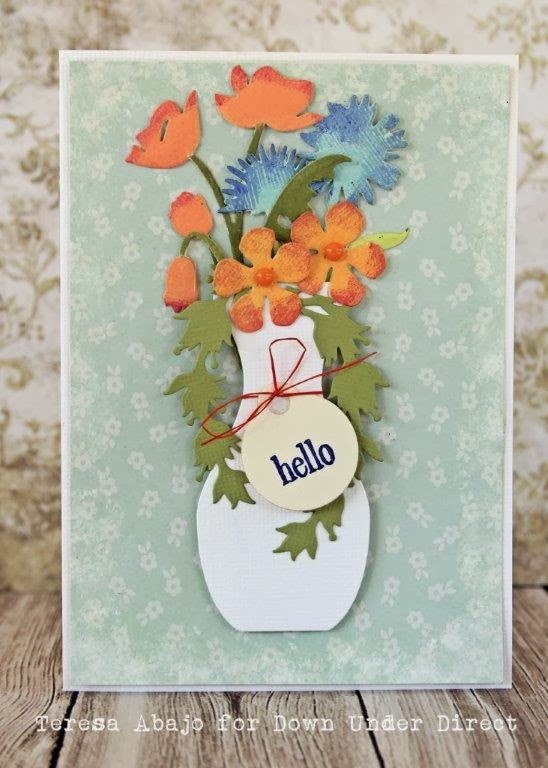 Here's a simple card that can work for many occasions just by changing the sentiment. 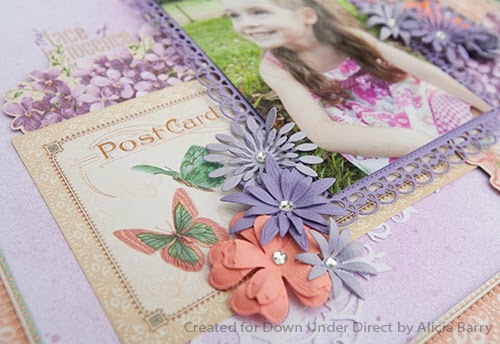 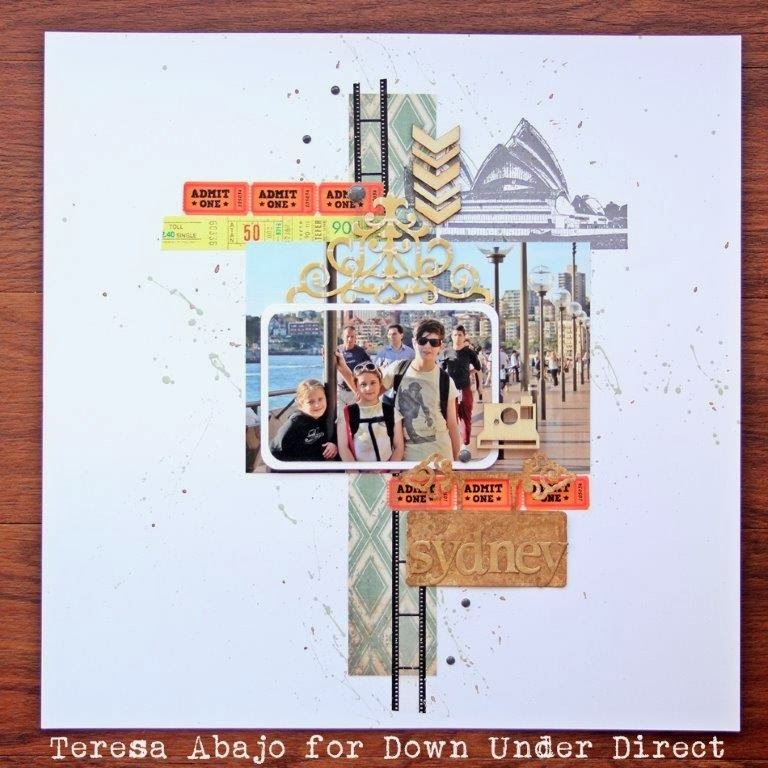 Using Spellbinder dies in geometric shapes with paint mists to match any colour scheme.